The shared master teachers will co-teach our introductory courses, TLPL 101 and TLPL 102. In addition to teaching, the master teachers will serve as mentors to students in the Master's Certification program, who will complete a paid internship at the master teachers' schools. During the workshop, held in June, high school teachers learn about cutting-edge research conducted by the College of Computer, Mathematical, & Natural Sciences (CMNS) faculty with an emphasis on topics that could be used to enrich the teachers' classrooms and broaden the view of mathematics for the secondary school mathematics teachers. 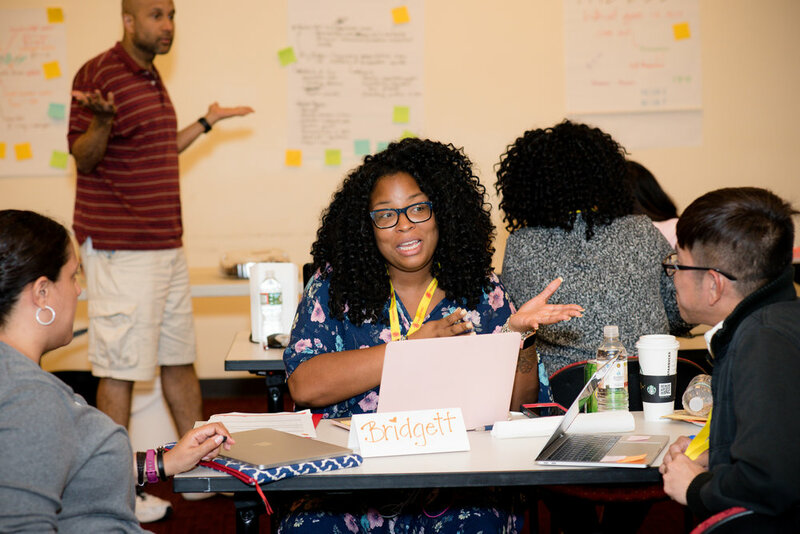 In addition, Master Teachers, who are instructors in the Terrapin Teachers initiative, provide innovative pedagogical strategies that can be implemented in the high school’ classrooms upon their return to their respective schools.